Fabric ContentTop grain/split tri-tone leather. Arm Arm Flared rolled arms with decorative nail head trim. 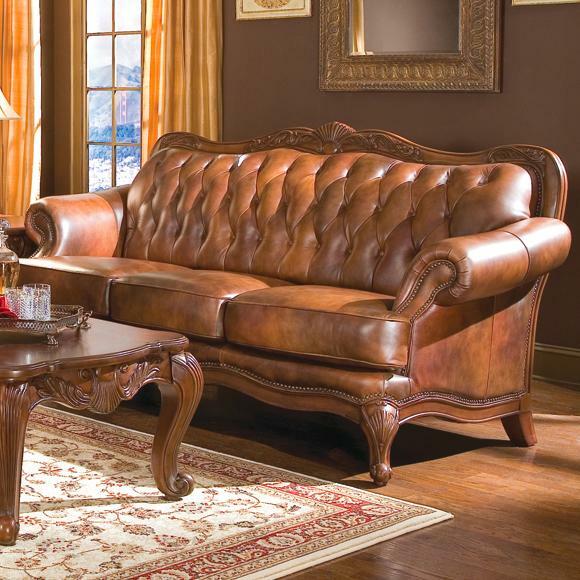 The Victoria Classic Rolled Arm Sofa by Coaster is available in the area from Coaster.